George Clinton photographed on Friday, August 26, 2016, in Detroit, MI. Funk legend George Clinton lit up Campus Martius last Friday with a free performance as part of Summerfest. On Sunday, he returns to metro Detroit for a show at Freedom Hill Amphitheatre as part of the All White Everything Concert and Party lineup. Just before Friday's gig, the Parliament-Funkadelic honcho sat down with "Detours" host Rob St. Mary for an extended discussion that touched on a broad range of topics, including the Detroit creation of his signature psychedelic funk, the music's influence on hip-hop, a documentary he's producing that will deal with legal battles over his heavily sampled catalog and much more. The 14 Band Blender lands Sunday at Small's in Hamtramck. The free event features top local bands playing three stages and is previewed by a conversation with show producer Scott Boyink. 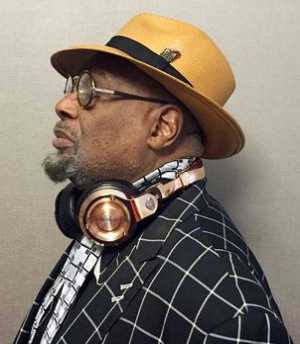 Parliament-Funkadelic honcho George Clinton sits down for an extended chat that touches on a broad range of topics, including his music's influence on hip-hop and a planned documentary on sampling. Plus 14 Band Blender at Small's.